Makes aquarium water crystal clear. 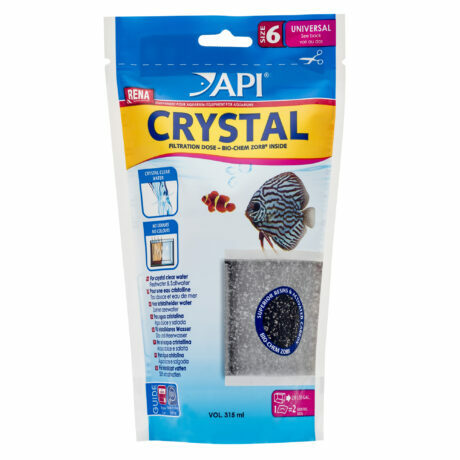 API CRYSTAL SIZE 6 Aquarium Canister Filter Filtration pouch uses superior resins and activated carbon to clean and clear aquarium water, removing aquarium pollutants such as colours, odours, and heavy metals. The research-grade resin-carbon blend is up to 3x more effective in clearing water than carbon alone. API CRYSTAL corrects poor water quality caused by pollutants that can suppress a fish's immune system, leading to disease or death. 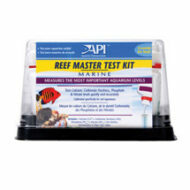 Replace every two months, or sooner if aquarium is heavily stocked or colours/odours are detected. 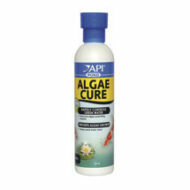 Can be used to remove medication from water once disease treatment is completed. Contains one large pouch of API CRYSTAL SIZE 6, treats up to 210 L of aquarium water. CRYSTAL is the ultimate filtration medium for crystal clear water. CRYSTAL contains a superior blend of resins and activated carbon which removes organic aquarium pollutants, including colours, odours, heavy metals and toxic gases as well as other compounds that carbon alone cannot remove. CRYSTAL also removes light blocking impurities for improved growth of corals in saltwater and plants in freshwater aquariums. Want to see how we prove the efficacy of CRYSTAL works? Watch the video. Directions: Rinse pouch under tap water to remove loose dust. Pouch does not need to rinse clear. Place pouch in the path of water flow in the aquarium filter. Replace every month or as recommended on the packaging.